I've been thinking of wearing chambray or denim shirts with olive or dark green casual suits or jackets for a long time. So, that in mind I went for this on Monday. 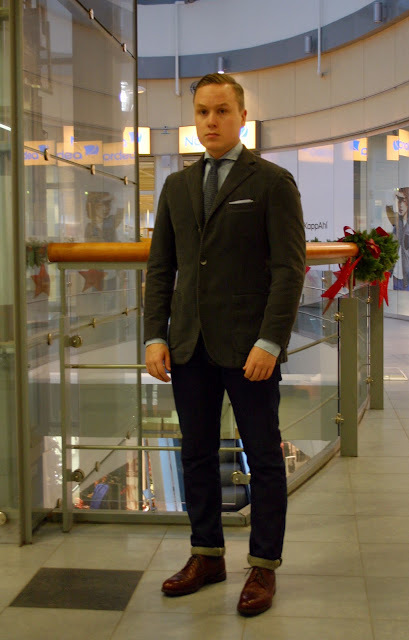 The pieces include a dark green moleskin jacket, spread collar chambray shirt (looks like the other sleeve is unbuttoned), bi-color blue knit tie, light blue cotton pocket square, raw denim, blue wool socks and longwings. 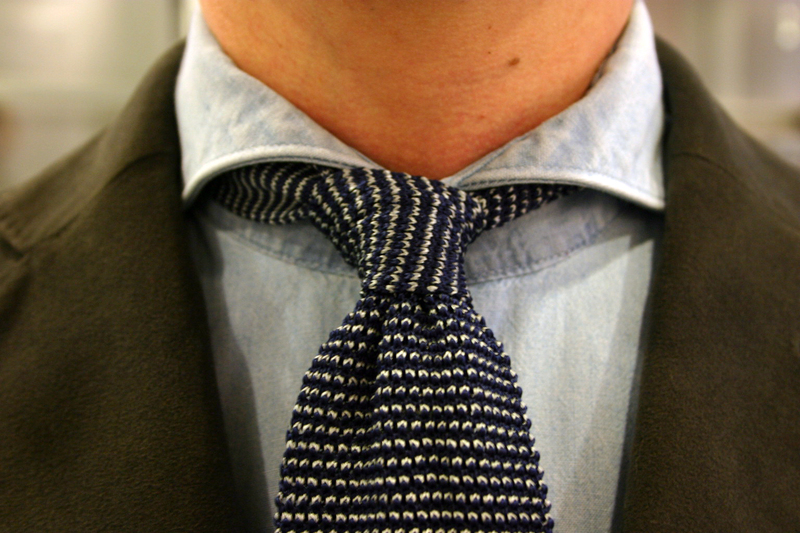 One of my favorite ties. Would love one in brown. The last picture has a slightly too green tint that I couldn't get rid off. Decided to go with the simplest of pocket squares, to keep things in line with the other, quite casual items. 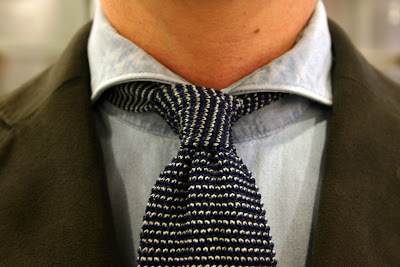 Even if I have some spread collar shirts I'm not keen on them. They look ok fully buttoned with a tie but don't like to see them unbuttoned. 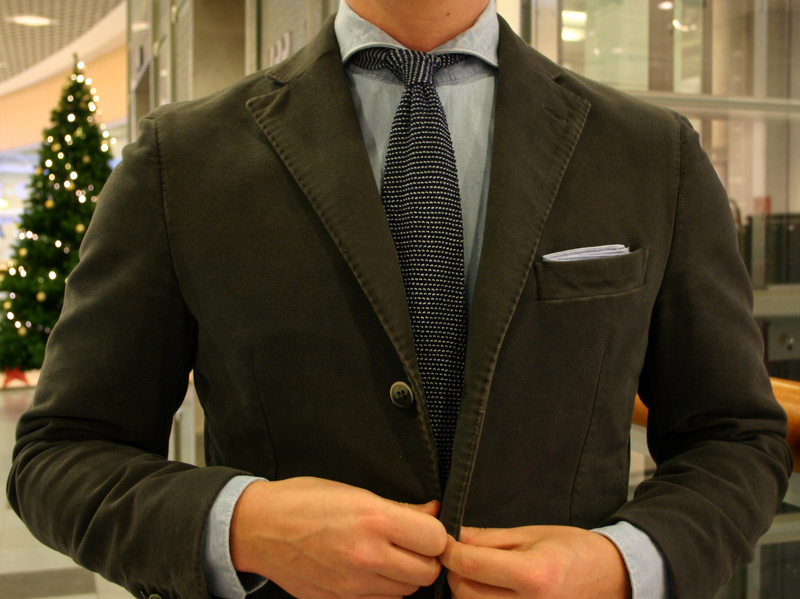 But I like the contrast between the informal chambray and a tie/blazer. 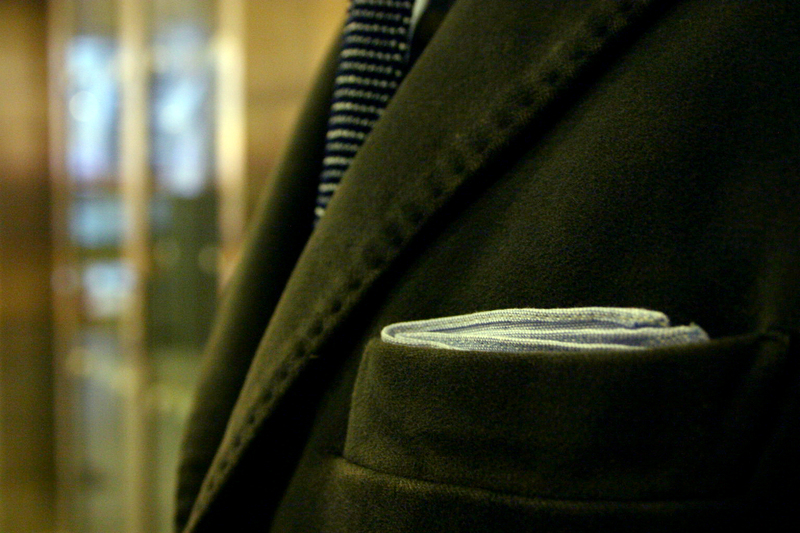 And as usual you make a fine selection of colors and fabrics. Another great outfit. Thank you. I like the colors and fabrics here as well. A denim shirt would be cool with this one as well I think. Could this jacket be more AWESOME? I am so jealous on you right now! Heh, it's cool alright. A good buy for a mere 130ish euros.